since it got deleted in MT, so I link the b/w version in DA Link! I still keep my drawing pen lineart so my style not change too much ^^"
Golden Butterflies ^-^ reminds me of Beatrice from Umineko no Naku Koro ni :)) She always has her golden butterflies with her! Why didn't you color the plushies like the bunny and so? So beautiful as always! 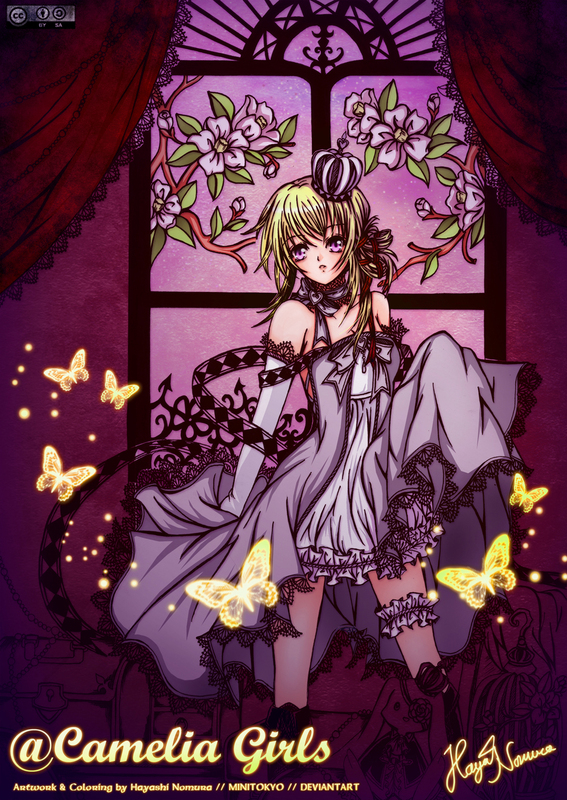 I adore the lace and the details you put into your artwork! GREAT JOB! Amazing details and background! I love the design of her dress, too. I love the kind of harmony between the colors you chose, and this is one of the strengths of this piece of art. Thanks a lot for sharing ! She is very cute, love the colors too.